Washington, D.C. —(ENEWSPF)–December 5, 2016. Today, as the U.S. Supreme Court prepares to hear oral arguments in two separate redistricting cases involving challenges to electoral districts in Virginia and North Carolina, the Center for American Progress published a report looking at the need to reform the redistricting process in order to ensure a system of representative government. As the report highlights, gerrymandering blocks communities from receiving meaningful and fair representation. For example, in the 2016 elections, voters in Pennsylvania cast ballots for Democrats and Republicans in near equal numbers, yet 13 of the state’s 18 congressional seats went to Republicans. Meanwhile, Michigan voters saw Republicans retain control of the state legislature, even though Democratic candidates received the majority of votes. In Maryland in 2014, Democratic candidates received 57 percent of the vote but won 7 out of 8 House seats. The problem is also seen nationally. In 2012, Democratic candidates for Congress received 1.4 million more votes than Republican candidates, but Republicans won the majority of seats. “A major issue with gerrymandering from the standpoint of a reflective and responsive government that works for all Americans is that it stifles electoral competition, which hobbles accountability and increases extreme partisanship,” said Billy Corriher, Legal Progress Director of Research at the Center for American Progress and co-author of the report. In the 2016 election, only 10 percent of the 435 House seats were considered competitive. Just 4 percent of districts nationwide were decided by 5 percentage points or less, while 8 percent were decided by 10 points or less. Ninety-two percent of elections for seats in the House of Representatives were decided by a margin of victory exceeding 10 points. 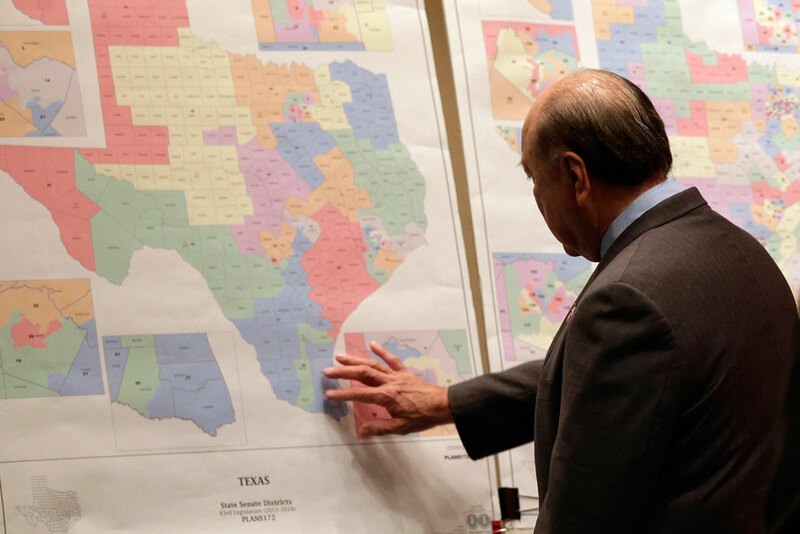 Gerrymandering has strong implications for voters of color, a critical issue as demographic shifts continue to reshape the racial composition of the United States. In McCrory v. Harris, the Supreme Court will review North Carolina’s congressional maps to determine whether the state engaged in improper racial gerrymandering by packing too many black voters into two congressional districts. In Bethune-Hill v. Virginia State Board of Elections, the Court will examine Virginia’s legislative maps to determine whether the state violated the rights of black voters by using a racial quota to pack voters of color into 12 of the 100 districts for the Virginia House of Delegates.